Dr. Majid Rafizadeh, an Iranian-American political scientist, Harvard-educated scholar and businessman, is president of the International American Council. Rafizadeh serves on the board of Harvard International Review at Harvard University. He is also a member of the Gulf project at Columbia University. 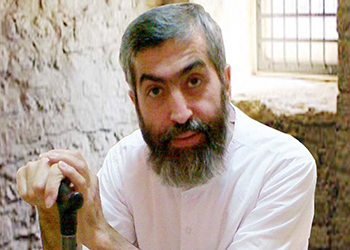 Rafizadeh served as a senior fellow at Nonviolence International Organization based in Washington DC. He has been a recipient of several scholarships and fellowship including from Oxford University, Annenberg University, University of California Santa Barbara, and Fulbright Teaching program. Dr. Rafizadeh has obtained several degrees including Doctorate (Ph.D) in Government and International Affairs, Masters in Global and International Studies, Masters in Journalism and Communication, Masters in Linguistic and teaching, and Bachelors in Linguistic and languages ( English, Arabic, Persian). He served as ambassador, conducted research at Woodrow Wilson International Center for Scholars, and taught at University of California Santa Barbara through Fulbright Teaching Scholarship. 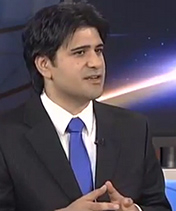 Dr. Rafizadeh is a regular political analyst and contributor for national and international outlets including CNN, BBC TV and radio, ABC, Fox News, MSNBC, CNBC, RT, CCTV and Aljazeera English. He is frequently quoted in major news outlets including CNN, BBC, Aljazeera and he regularly writes for both academic and non-academic papers such as New York Times International, Foreign Policy, Los Angeles Times, The Nation, The Atlantic, Newsweek, Yale Journal of International Affairs, Georgetown Journal of International Affairs, George Washington International Review, to name a few.